With the iPhone’s triumphant creation of their app store and the stories of instant riches, developers lined up to begin building applications to join the ranks of the wealthy. Once it worked for Apple, other device manufacturers began announcing similar stores for their devices, from other phone manufacturers to Ford’s cars to the Amazon Kindle, each trying to expand the usefulness through the work of third party developers. Google and Apple take diametrically opposing stances on the running of their stores, but is one way better than the other? Apple’s iTunes store and Google’s Android Marketplace each take a different stance based on their idiologies. Apple is a company based around design, while Google is about technology and engineering. This differences show in how they choose to manage apps created by developers. App Selection With Apple’s head start, it’s no wonder that they have more applications to choose from than Android. The iPhone has over 100,000 apps, while the Droid has over 10,000. Of course Apple had a time advantage in this category, a lot of the most popular apps are ported from the iPhone to the Droid due to the demand. Organization Both stores are easily accessed from the phones themselves by tapping the icon, but the iTunes store is far more organized and easier to find what you are looking for, if you don’t already know the name of it. It becomes easier to Google the app you are looking for than to search for it in the Marketplace app. On the PC Many people complain about the iTunes software. It’s bloated, uses too many resources, etc., but it does its job well. It easily organizes both your music collection and maintains your iPhone settings. Android isn’t quite so simple. It can be mounted like a hard drive, and there is third party software to sync music to the Droid, but it isn’t as easy and simple as the iPhone maintenance. On The Web The Android Marketplace on the web gives you a limited listing of featured apps and not much more. The openness of Android allows for third party sites, like androlib, but the necessity of third party sites appears as more of a fault of Google, rather than a strength. Apple recently added their iTunes store to the web, making it easy to view the available applications and directly linking to the correct location in the iTunes application on the desktop to purchase the app and install it through the PC. Installing Apps The iTunes store is a walled garden. Most users cannot install apps without downloading them through the iTunes store. Android users have the option of downloading the .apk file then using an installer to run it on the phone, allowing any application to be loaded onto a phone by any user. Also makes it easier to install test apps on a phone, which is an arduous process on the iPhone. Purchasing Apps With the iTunes store, it is obvious that you are making all purchases through Apple and no personal information or credit card numbers are transmitted, since it is stored as part of your account when registering the iPhone through iTunes. With the Android, it is more nebulous. You use your Google Checkout account (if you have one) and use the credit card on file or enter a new one. The Marketplace’s disorganization makes it feel less secure and makes a user feel less inclined to spend money on an app. App Approval Any apps in the iTunes store were reviewed by a human being who tests the app and attempts to try every aspect and approve it according to Apple’s nebulous standards (a process that used to take weeks, but now takes days). Any developer can create any application and put it in the Marketplace without approval and with very few limitations. Security It is almost impossible for a malicious app to enter the iTunes store because a human being is likely to recognize and reject the application. Alternatively, one such app was found in the Android Marketplace, the purpose of which was to steal banking details from a user. It is likely we will see apps like that again on the Droid, since no one prescreens the apps. Adult Apps Both the iTunes Store and the Android Marketplace prohibit the distribution of “adult oriented” apps thru their stores, the Droid’s ability to install an application from a website allows the existence of MiKandi, an app store exclusive to the Android operating system, which will allow a user to install those adult apps, if he or she should so desire. 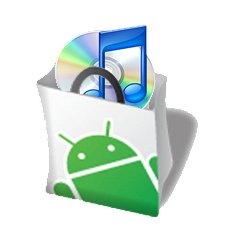 The iTunes Store and the Android Marketplace each have their strengths and weaknesses. The Marketplace’s openness allows and developer to create any app they want, accessing any piece of the phone or OS, while iTunes’ walled garden approach gives more security and a better user experience. If these phone manufacturers could find a happy medium, they would create the perfect user experience. Hopefully Ford, Amazon and other future app stores can learn from both approaches and have the best experience for the user in mind.